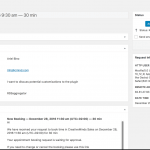 This efficient online scheduling plugin for WordPress offers a self-service scheduling system for 1-on-1 appointments. 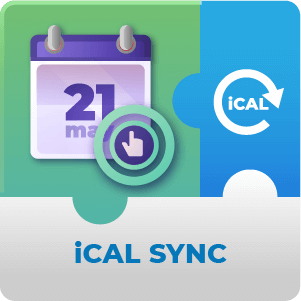 Perfect for any B2C service like medical practitioners, wellness centers, or consultants, create multiple calendars on the same site, with unique booking forms, calendar owners, and moderation settings for each. 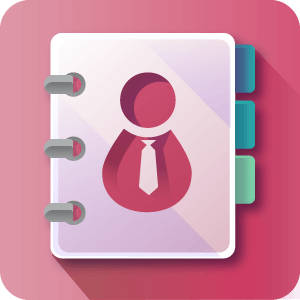 Easily manage your bookings by blocking out your availability or setting specific date and times that customers are allowed to book appointments. 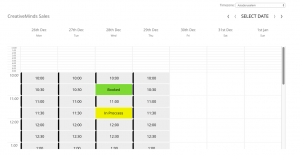 The calendar booking system automatically adjusts so customers view the calendar in their local time zone. Set the session length and price for each booking slot. 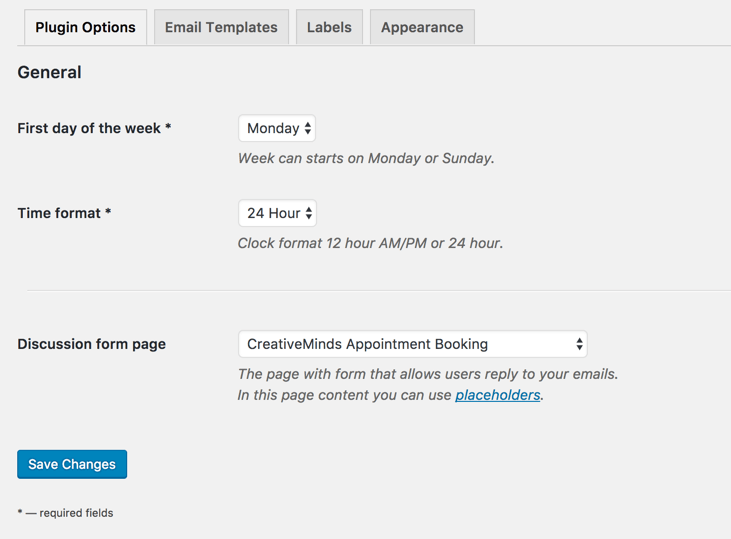 Customers can then book appointments automatically, or after moderation by submitting a booking request form. The calendar booking form can be customized to include any additional information you may require by adding any number of supplemental fields. The calendar owner can then communicate with customers before approving their booking based on the information provided on the booking form. 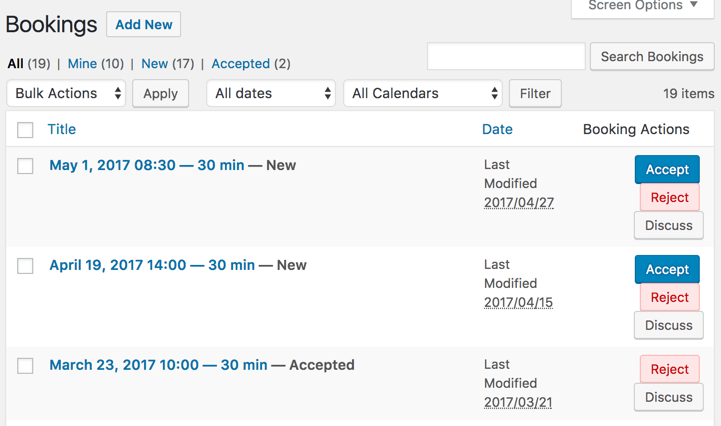 The scheduling form is a handy way to ensure the admin has all the required information before accepting the booking request. 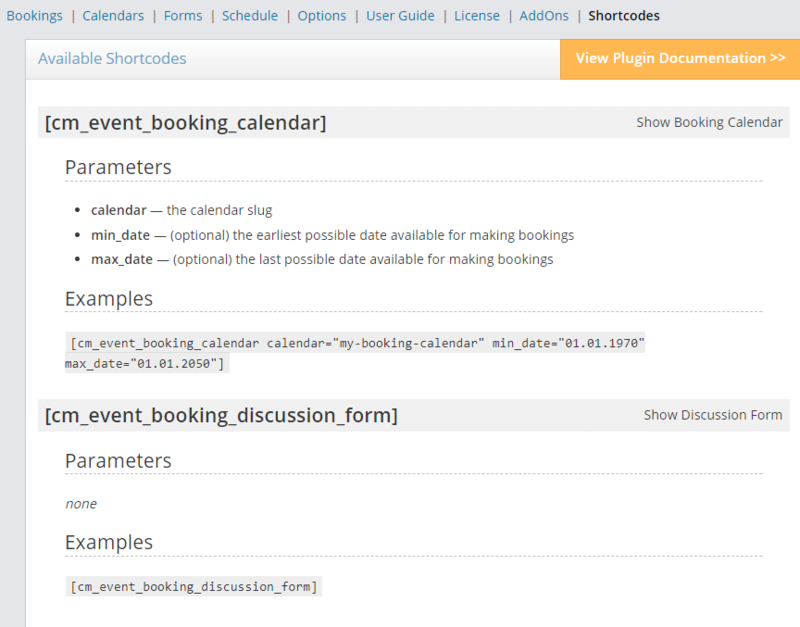 The appointment booking calendar integrates into any WordPress website using shortcode. 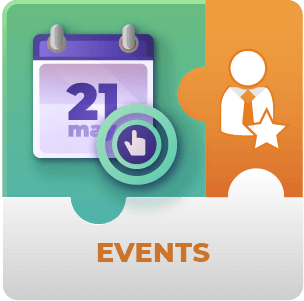 Our calendar booking software has a user friendly interface that eliminates the back and forth communication in appointment booking. 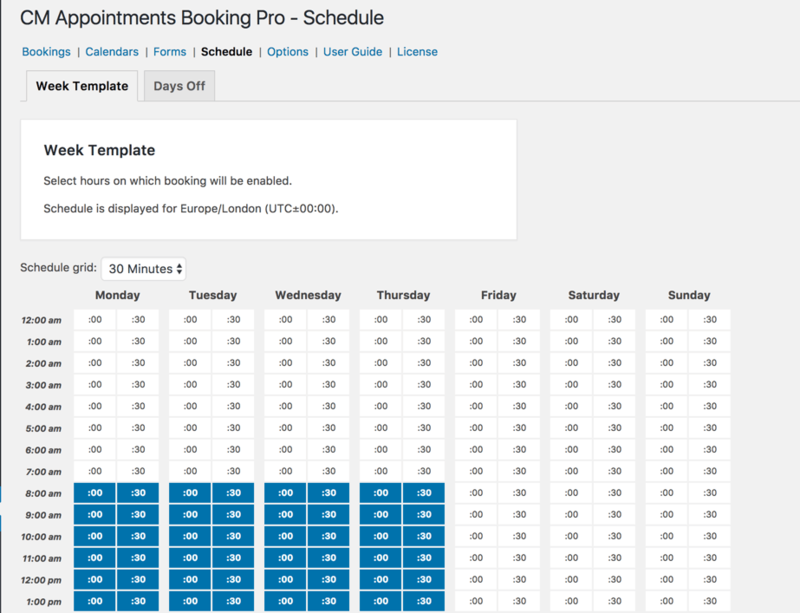 View all booking requests on one dashboard, where you can then easily approve, decline, or cancel appointments. 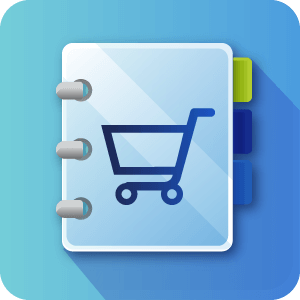 Superb Online Booking Experience – User-friendly online booking software with a modern and customizable user interface. The best alternative for managing online appointments. 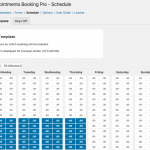 Calendar Availability Management – Define booking periods using predefined dates in the calendar or repeating days in the week. 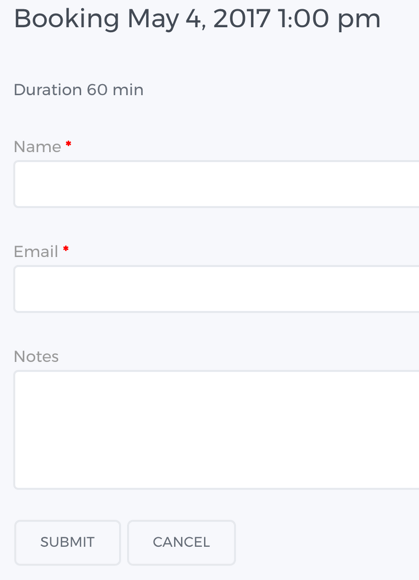 Manage Session Length and Available Slots – Scheduling options allow you to easily define availability and session length – for instance, three hours duration with five openings. 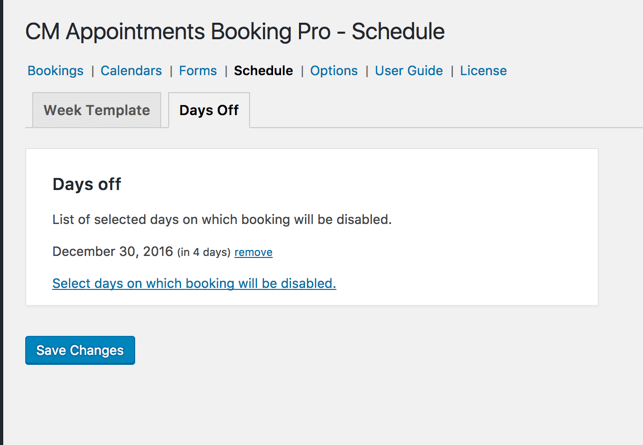 Approve Bookings Automatically or Manually – Book or schedule appointments automatically or moderate each appointment booking. 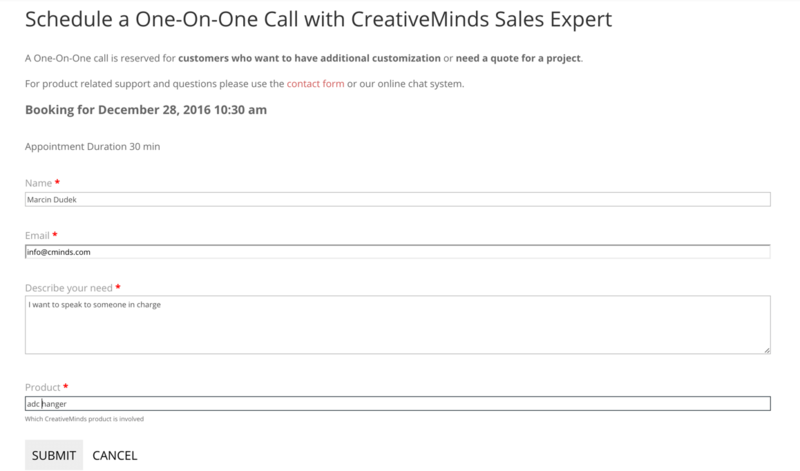 Discussion Thread – If further discussion is needed to confirm the appointment, contact the customer directly from their booking request. All correspondence will be logged with the booking request and is viewable by both the admin and the customer. 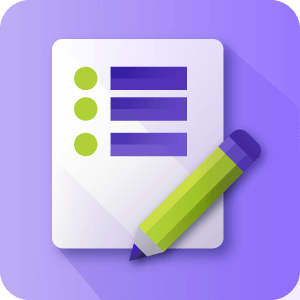 Appointment Reminders – Send appointments reminders to both the customer and admin prior the scheduled appointment. 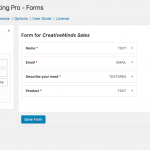 Custom Booking Form – Customize your scheduling form using the form builder to gather essential pre booking information. 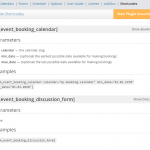 Multiple Booking Calendars – Manage multiple calendars on the same site. Mobile-Friendly – Calendars automatically resize to display on mobile, making it easy to book both from mobile or desktop devices. Define vacation or holiday days – for instance Saturdays and Sundays. 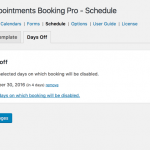 What happens when a new booking appointment is received? 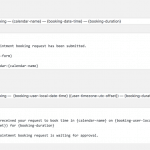 When a customer submits their booking, the calendar moderator receives an email that includes all the information the customer has submitted on the booking request form to make reservations. 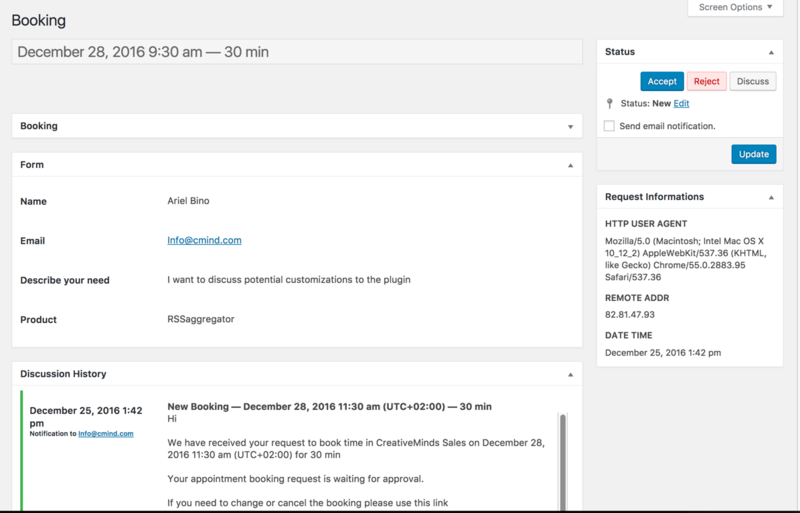 The online booking moderator can then approve, reject or communicate directly with the customer about the booking. 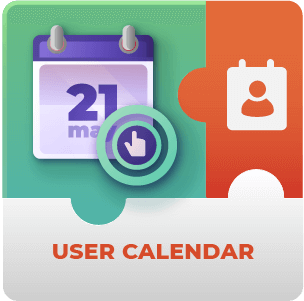 All communication is done using a discussion form which is attached to the specific appointment, so both calendar moderator and customer can track the conversation until it is approved or declined. 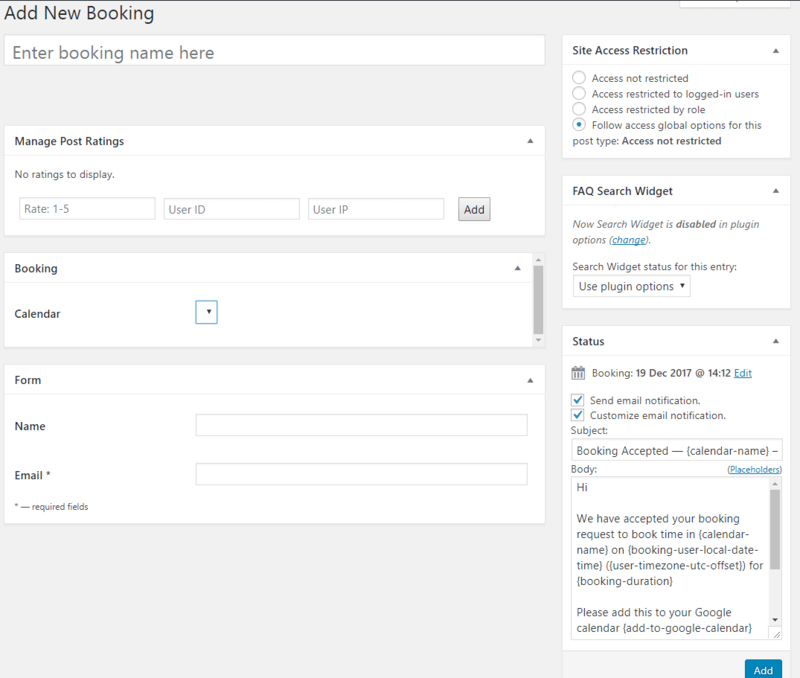 Booking can also be automatically accepted if the calendar is set to accept online booking without moderation. How and where do I see the bookings? You can see the booking in the admin dashboard under the booking dashboard. You can filter by the calendar to which they were sent. 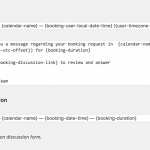 The dashboard includes the options to approve, reject or discuss a booking. You can also modify the date and time for each booking. Check out our documentation article to learn more. 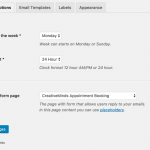 How do I get an appointment scheduler to show up on my page? 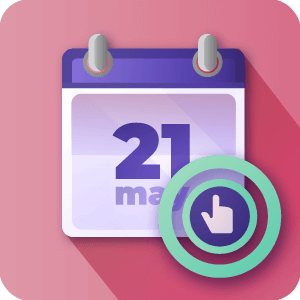 You can embed a simple shortcode which will output the calendar on ony post or page. You can also pre-define a booking form for this calendar. 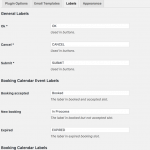 Once user tries to book a slot on this calendar your booking form will hover over the calendar. 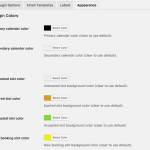 Does the plugin support multiple calendars? Yes. You can define an unlimited number of calendars. 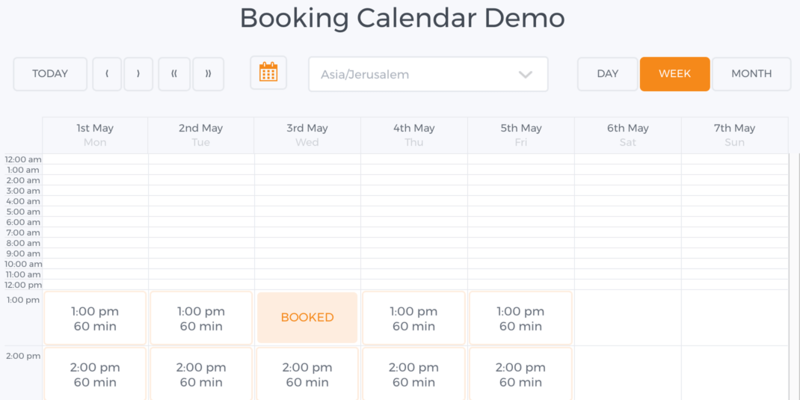 Each calendar can have it’s own unique booking form, availability timeframe and meeting duration. 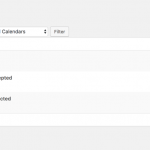 There are other parameters you can set for each individual calendar. 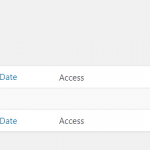 Can the admin manually add bookings? Yes. 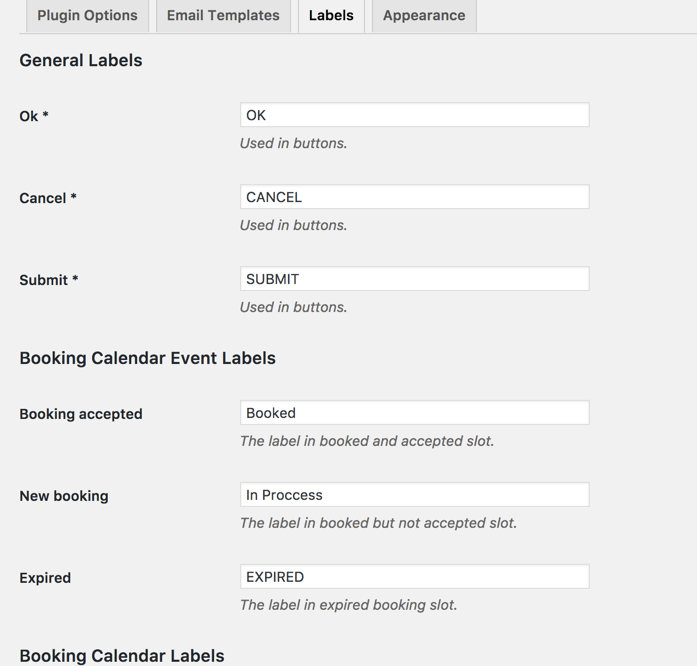 Admin can add booking from the plugin backend. 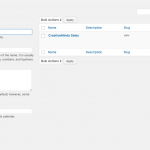 This adds the ability to support customer bookings made by the admin. 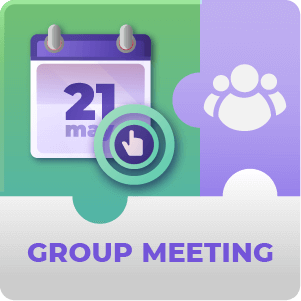 When manually adding bookings all notification will be sent to both admin and user ensuring the user is also notified about the meeting. Check out the user guide to learn more. 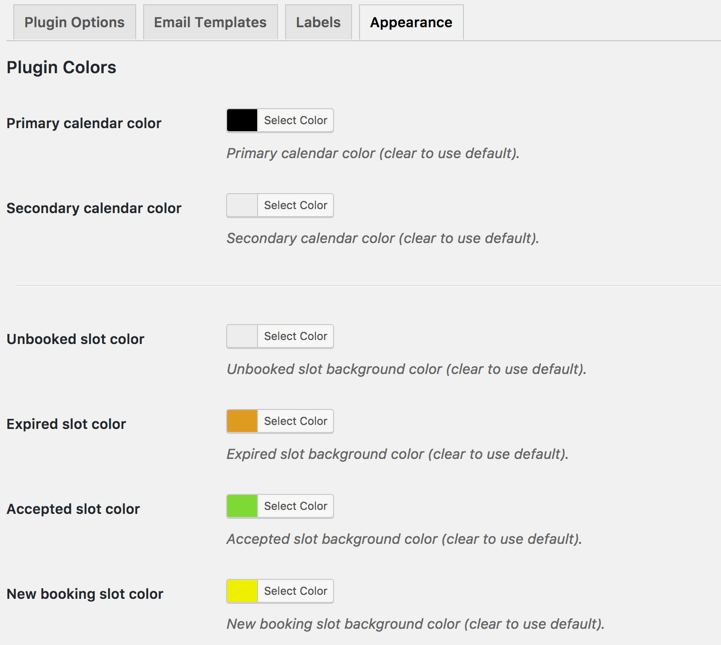 The booking form is totally customizable. 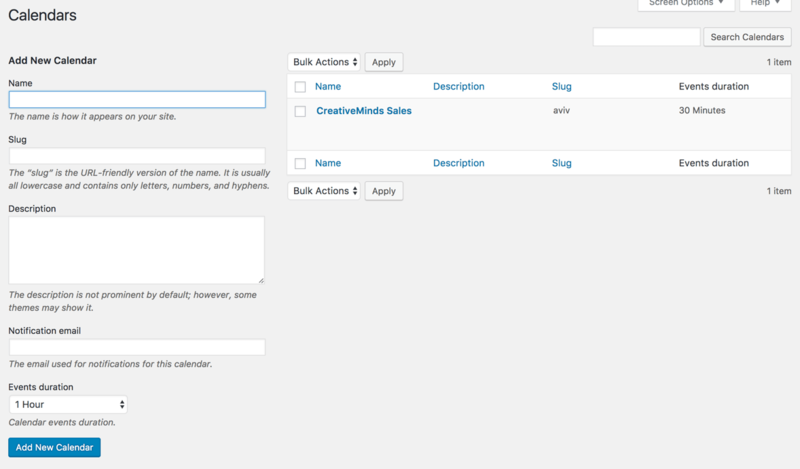 You can include as many fields as you need, define which are mandatory and also add a label and description for each. 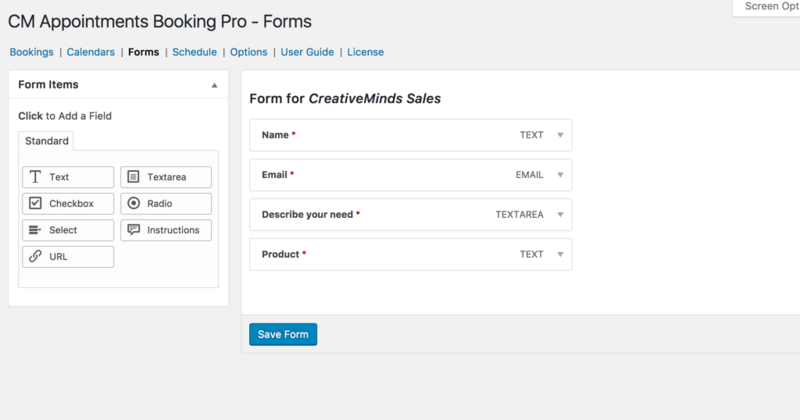 The form generator supports input, textarea checkbox and radio buttons. All can be added and moved by a drag and drop interface. Yes. You can restrict bookings until payment is made by the customer. 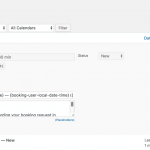 You can define for each calendar how much should be charged per booking. 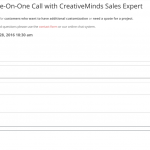 Can appointments be automatically approved without moderation? Yes. 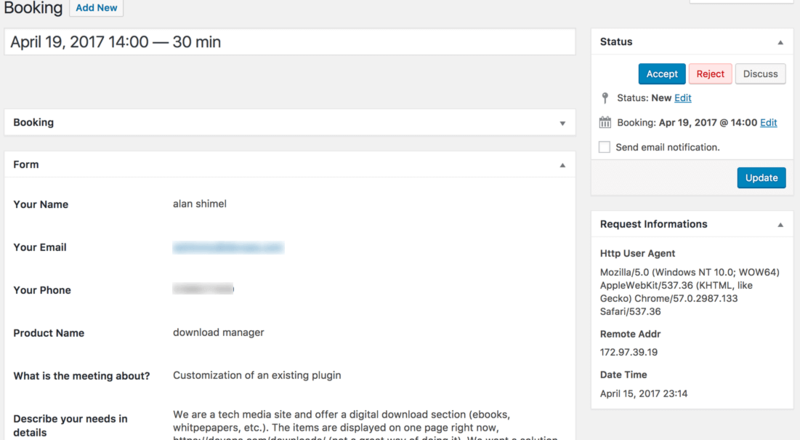 Our plugin supports both automatic and moderated booking. 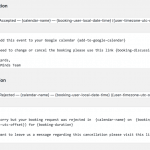 You can define which behaviour you would prefer for each calendar. 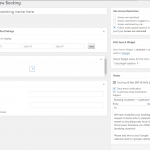 When calendar does not have moderated booking the user will receive a confirmation immediately after completing the booking form. 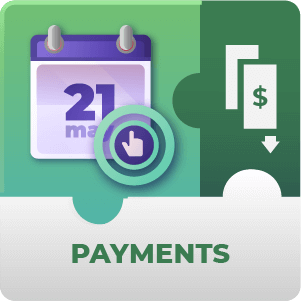 If clients must input payment information at the end of the booking, does the payment go through immediately or can it be held until the booking is approved? If booking is moderated then client will be asked to pay ONLY after moderation is confirmed therefore he will not add his credit card information when making the booking but only once booking is approved. When booking is approved an email will be sent to him to pay for booking and if he fails to to pay within set amount of time booking will be canceled. If booking is not moderated then client will be required to pay immediately once making the booking.